There's been a lot of new stuff in our area in the last few months or so, especially in Petworth, and the Post wrote a guide to the area. They go through breakfast through post-dinner drinks and include Slim's Diner, Qualia Coffee, Little Coco's, Straw Stick and Brick (a deli at 5111 Georgia), Hank's Cocktail Bar (formerly Twisted Horn), Himitsu, Petworth Citizen, Ruta del Vino, Slash Run, Ten Tigers Parlour, and Timber Pizza Co. It's a good guide with a lot of hot spots. Any spots you think they missed? Or other faves? There are still a few I haven't visited and a few I'm writing about soon, like Ten Tigers. Wait, Looking Glass isn't Petworth? Do you consider it just Park View? Very curious how you define the boundaries. Thanks! Homestead, man. Where's some Homestead love? Agree on everything except Qualia. 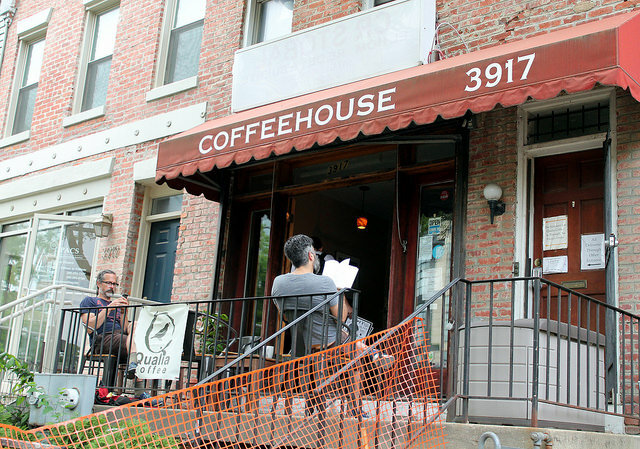 Qualia made the list because it's the only coffee shop. No competition.